Notes: One twin room, one double room, pull down full size double in living room with storage. Space for cot. 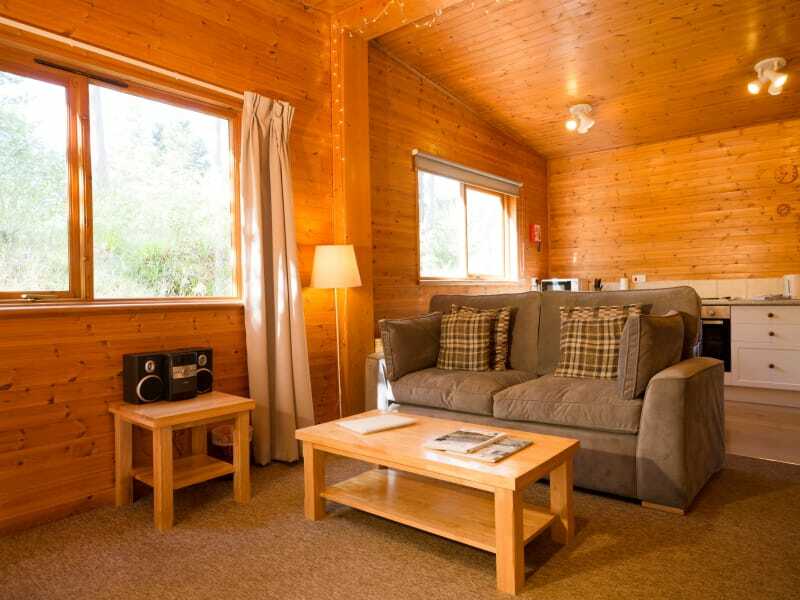 Creagmhor is a large semi detached rounded log faced chalet set in an elevated position on the site, ideal for families holidaying in Aviemore. Creagmhor benefits from a large open plan living/kitchen/dining area with ample space for 6 to eat and relax. The spacious double and twin bedrooms offer plenty of wardrobe space and the bathroom has a bath and shower so great for families with younger children. To the rear of Creagmhor is a shared BBQ and seating area with picnic benches for the warmer months. There is parking very close to the chalet just a short walk up the walkway from the end of the drive. Creagmhor is cosy in the winter and bright and airy in the summer.